Andrea Schankman's three-year relationship with her insurer, Coventry Health Care of Missouri, has been contentious, with disputes over what treatments it would pay for. Nonetheless, like other Missourians, Schankman was unnerved to receive a notice from Coventry last month informing her that her policy was not being offered in 2017. With her specialists spread across different health systems in St. Louis, Schankman, a 64-year-old art consultant and interior designer, said she fears she may not be able to keep them all, given the shrinking offerings on Missouri's health insurance marketplace. In addition to Aetna (AET), which owns Coventry, paring back its policies, UnitedHealthcare (UNH) is abandoning the market. The doctor and hospital networks for the remaining insurers will not be revealed until the enrollment period for people buying individual insurance begins Nov. 1. "We're all sitting waiting to see what they're going to offer," said Schankman, who lives in the village of Westwood. "A lot of [insurance] companies are just gone. It's such a rush-rush-rush no one can possibly know they're getting the right policy for themselves." Doctor and hospital switching has become a recurring scramble as consumers on the individual market find it difficult or impossible to stay on their same plans amid rising premiums and a revolving door of carriers willing to sell policies. The instability, which preceded the health law, is intensifying in the fourth year of the Obamacare exchanges for people buying insurance directly instead of through an employer. 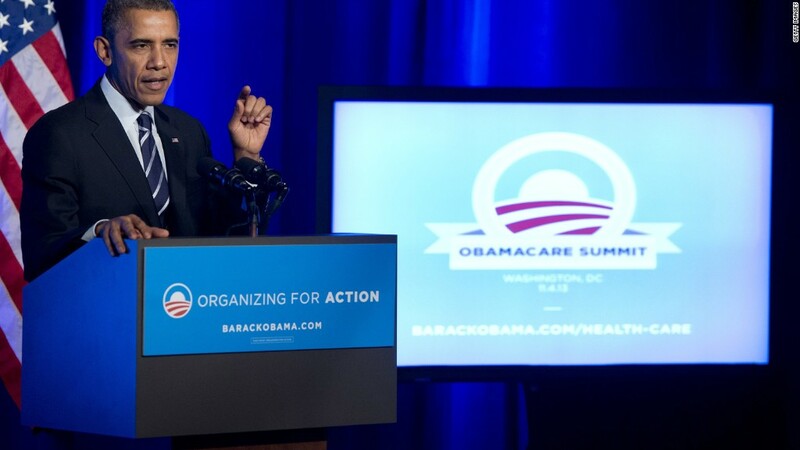 Related: Are some insurers unfairly profiting from Obamacare program? "In 2017, just because of all the carrier exits, there are going to be more people making involuntary changes," said Katherine Hempstead, a senior adviser at the Robert Wood Johnson Foundation. "I would imagine all things being equal, more people are going to be disappointed this year versus last year." Some 43% of returning consumers to the federal government's online exchange, healthcare.gov, switched policies last year. Some were forced to when insurers stopped offering their plans while others sought out cheaper policies. In doing so, consumers saved an average of $42 a month on premiums, according to the government's analysis. But avoiding higher premiums has cost many patients their choice of doctors. Jim Berry, who runs an internet directory of accountants with his wife, switched last year from Blue Cross Blue Shield of Georgia to Humana (HUM) after Blue Cross proposed a 16% premium hike. Despite paying Humana $1,141 in premiums for the couple, Berry, who lives in Marietta, said they were unable to find a doctor in the network taking new patients. They ended up signing up with a concierge practice that accepts their insurance but also charges them a $2,700 annual membership, a fee he pays out of pocket. Nonetheless, he said he has been satisfied with the policy. But last month Humana, which is withdrawing from 88% of the counties it sold plans in this year, told Berry his policy was not continuing, and he is unsure what choices he will have and how much more they will cost. "It's not like if I don't want to buy Humana or Blue Cross, I have five other people competing for my business," Berry said. "It just seems like it's a lot of money every year for what is just basic insurance, basic health care. I understand what you're paying for is the unknown — that heart attack or stroke — but I don't know where the break point is." To be sure, the same economic forces — canceled policies, higher premiums and restrictive networks — have been agitating the markets for employer-provided insurance for years. But there is more scrutiny on the individual market, born of the turmoil of Obamacare. Dr. Patrick Romano, a professor of medicine at the UC Davis Health System in Sacramento, Calif., said the topic has been coming up in focus groups he has been convening about the state insurance marketplace, Covered California. Switching doctors, he said, "is a disruption and can lead to interruptions in medications." With the shake-up in the insurance market, access to some top medical systems may be further limited. In St. Louis, Emily Bremer, an insurance broker, said only two insurers will be offering plans next year through healthcare.gov. Cigna's (CI) network includes BJC HealthCare and an affiliated physicians' group, while Anthem (ANTX) provides access to other major hospital systems, including Mercy, but excludes BJC and its preeminent academic medical center Barnes-Jewish Hospital. "These networks have little or no overlap," she said. "It means severing a lot of old relationships. I have clients who have doctors across multiple networks who are freaking out." Aetna said it will still offer policies off the healthcare.gov exchange. Those are harder to afford as the federal government does not provide subsidies, and Aetna has not revealed what its networks will be. In an email, an Aetna spokesman said the insurer was offering those policies to preserve its option to return to the exchanges in future years; if Aetna had completely stopped selling individual policies, it would be banned from the market for five years under federal rules. "Every year our plan disappears," said Kurt Whaley, a 49-year-old draftsman in O'Fallon, Mo., near St. Louis. After one change, he said, "I got to keep my primary care physician, but my kids lost their doctors. I had to change doctors for my wife. It took away some of the hospitals we could get into."